Foreclosure with deceased homeowner? Hold on, bank! 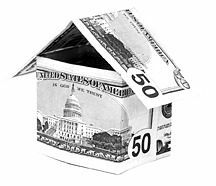 I recently stopped a sale of a home that a bank was seeking to foreclose upon. Why would a Chicago family law attorney get involved in a foreclosure, you ask? As a family law attorney, I become intimately familiar with my clients’ lives. Just as I hate to see people robbed of a proper role in their children’s lives, I also hate to see banks taking advantage of the same people who paid for their bailout. You should know that if you are facing a divorce and a foreclosure, that’s a double-whammy . . . you can contact me, Chicago divorce and foreclosure defense lawyer David Wolkowitz – I may be able to help. Illinois home foreclosure defense is one of my practice areas. bank began foreclosure proceedings. Further, when a borrower is dead, and the bank then wants to foreclosure, Illinois law requires that a “special representative” be appointed as part of a foreclosure case. The purpose of a special representative is to determine if the borrowers have heirs that should be notified of the foreclosure proceeding. However, in my case, no special representative was appointed. I stopped the sale of a house for my client, the borrower’s daughter, so she could have time to sort the mess out and save the house (almost all of the mortgage had been paid off!). The strange part is – the bank didn’t even know the borrower was dead! Despite the fact that the borrow would have been approximately 80 years old when the bank began foreclosure proceedings, the person who was actually served appeared to the process server to be approximately 47 years old. If the lazy bank did any due diligence at all, it would have easily realized the borrower was dead. But instead, the practically criminally negligent banks don’t care, and just want to bring down the hammer as hard as they can. When working in Illinois family law, I often deal with issues involving homes. For instance, I previously wrote the article titled, “Uncontested Divorce & Marital Settlement Agreements: The Home,” which addressed how a home can be dealt with in a divorce settlement. If you have a divorce and a foreclosure on the horizon, contact me, Chicago divorce lawyer and Illinois foreclosure defense attorney David Wolkowitz; I may be able to help you move on with life with the least pain possible.